a fortunate stroke of serendipity | a series of small serendipities. When you work in art and design, refueling is a vital part of reconnecting with good ideas and new inspiration. 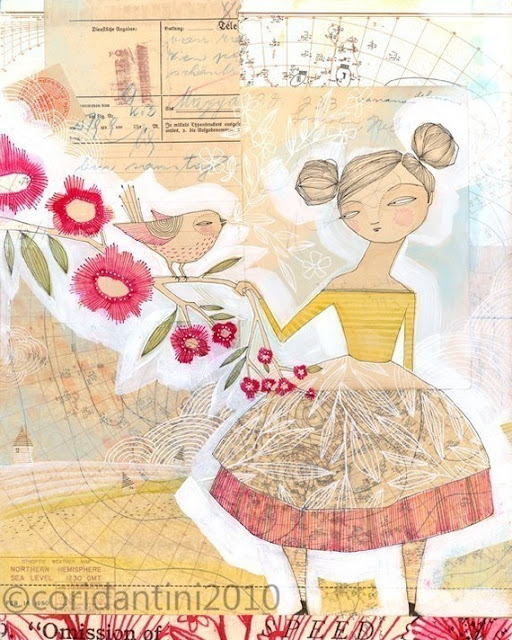 I have discovered over the years that attending art inspired events such as the Farm Chicks Show in Spokane can open you up to the chance to discover new ideas about design, color, inspiration, and art. Such is the moment I walked into illustrator and artist, Cori Dantini's booth at the show (a fortunate stroke of serendipity indeed). I fell head over heals in love with her work. I love everything about it; from the fine detail pen work, to the vintage paper foundations as well as her brilliant use of white paint that makes every image pop. Every time I look at one of the prints I purchased I see another detail I never noticed before. Each piece has a title and really, that was half the fun looking for a title that spoke to me or for the person I was going to give it to. It was hard to choose what to purchase. I knew an original was out of the question considering what I had already spent getting to the show and had already purchased that morning. So I settled for a print, which in the end, wasn't really settling at all since I got exactly what I wanted and was able to purchase more than one (okay, four to be exact). Cori also sells the white mats that fit her prints here. If you purchase a mat she will add the title and signature. It just finishes it off and you will be ready to pop it into a 12 x 12" or 11 x 14" frame. Here is the same print in a frame I picked up from Target for $12.99. It has found a home on a wall in my bedroom. Just a quite little reminder to my husband. There is also an interesting short article on Cori's working life as an illustrator as well as more examples of her artwork on the web site "Do What You Love". ps) if you buy one of Cori's prints, I would love to know which one you get! I bought Wee Lass and also the Red Owl print. I plan to purchase more of her work in the future. She is brilliant. 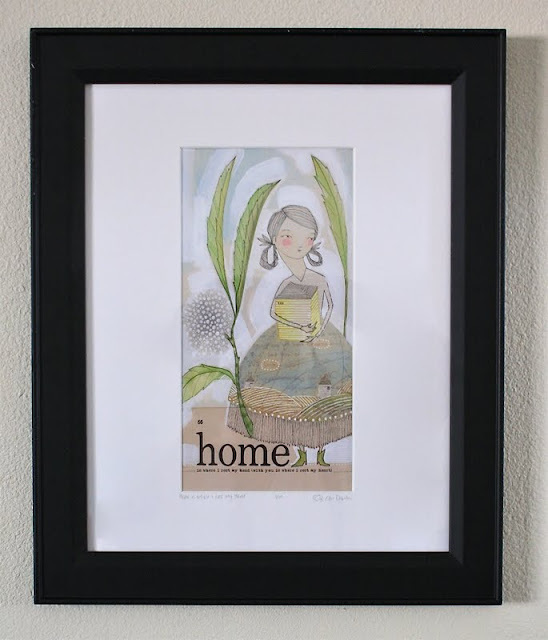 Love, love, love the "home" print you bought. Her Etsy site says she's on vacation so I'll have to wait for more prints to be put up for sale on her site. Love Love Love! I totally missed this! What great prints! I will totally check out her etsy store! THanks for sharing! Thanks for sharing your great find! 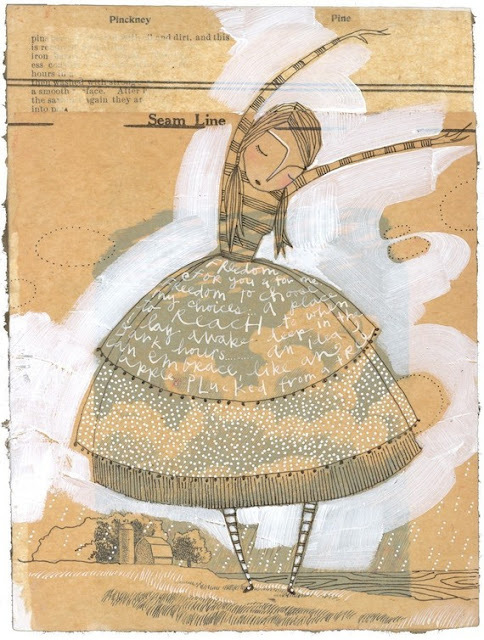 Love these illustrations, and look forward to when she gets her shop back up to peruse. Thanks for telling me about the work of Cori! I did not know about her until now, but I really like her illustrations! TFS! Love her work!! Thanks so much for the link-I registered to be notified when she returns. omg, totally smitten! 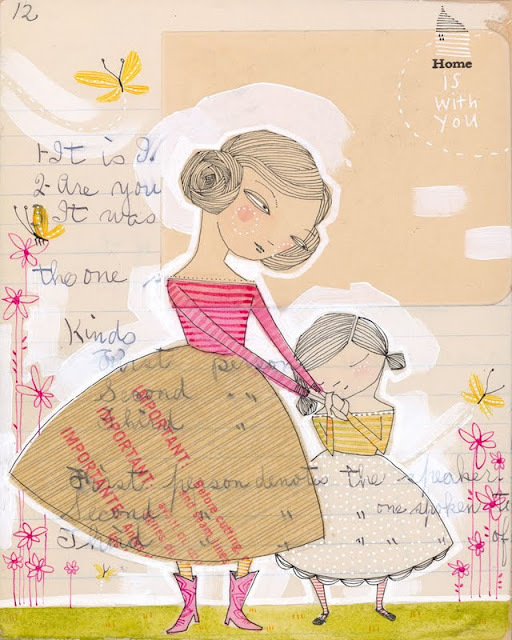 i wish she did a stamp line, wouldn't that be fabulous, her sketches are amazing ... i would buy them in a heartbeat!!! this is one of the nicest posts anyone has ever written (about me...). i really appreciate this, and find it so humbling that what i make can really reach out and touch your a heart. OOx c.